The company has firmly positioned itself as one of the major Exporters and Suppliers of Hand Held Metal Detector based in India. 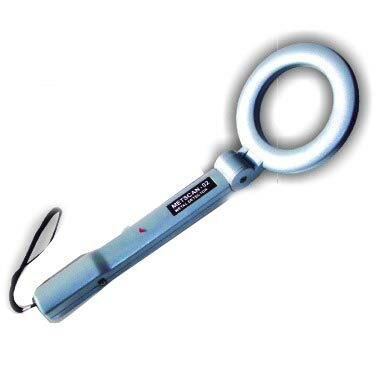 Widely used at public places, the Hand Held Metal Detector’s high sensitivity is helpful in anti theft of applications where small metal objects like jewelry and electronics products are to be protected. We source these Hand Held Metal Detectors from well-reckoned manufacturers, who make use of advance technology for designing and developing process. Thus, our Hand Held Metal Detectors are surely the right choice to vouch for.